The HellVape DROP DEAD RDA is an epic collaboration with Vapin' Heathen and The Vapor Chronicles to create a rebuildable masterpiece based on the designs of the Dead Rabbit and DROP RDA. The DROP DEAD RDA is constructed with durable Stainless Steel w.. 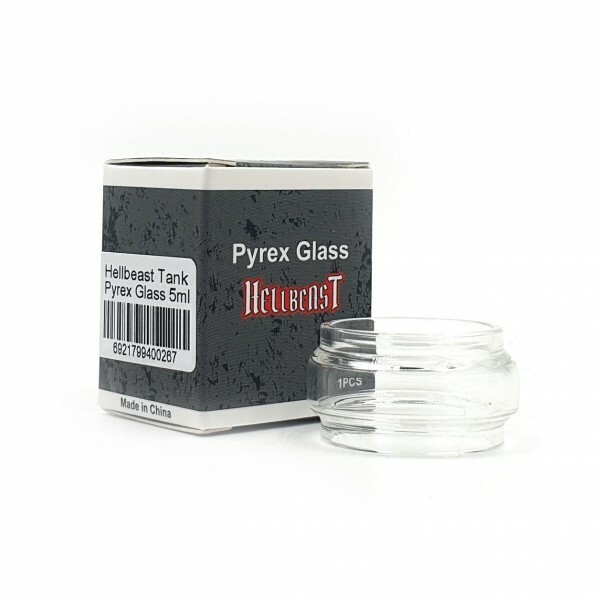 Replacement 5ml tank for Hellvape Hellbeast atomizer..
HellVape HellBeast straight glass tank. Essential for MTL use of the atomizer. Diameter: 24mm Capacity Features: 4.0ML Capacity With Hellvape Sub-ohm Coil / 4.3ML Capacity With Smok Babybeast Coil / 3.5ML Capacity With Nautilus Adapter And Coil.. The HellVape HellBeast Mesh 0.2ohm replacement coils are providing exceptional flavor and cloud production. They also feature compatibility with SMOK TFV8 Baby Coils and Vaporesso GT Coils. ..